You know that walk you do after an intense sesh at the gym, like a toddler with the proverbial "log" in his pants? Well, I&apos;ve got the hot tip that will have you skipping - not limping - out of the gym: foam rolling! 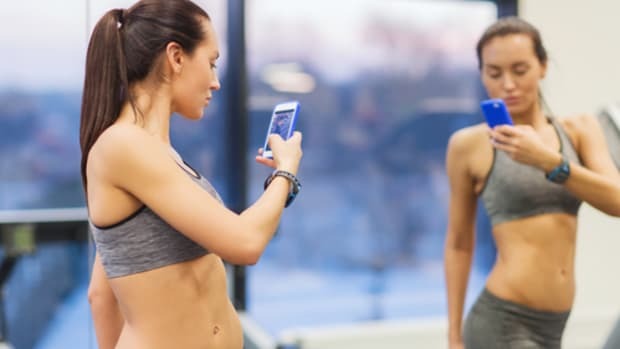 Maybe you&apos;ve noticed another kind of log at your local gym, most likely propped up in the corner of the stretching room. It&apos;s probably brightly colored, with a smooth or textured surface. It&apos;s light, firm, and made of (believe it or not) foam! You&apos;ve never used it because you don&apos;t know what the heck it is. Behold your new BFF, the mighty foam roller! A foam roller is a tool for something called self myofascial release (SMR). There&apos;s a lot of conflicting information floating around about self myofascial release, but in its most basic sense, SMR is self massage. When you use a foam roller, you roll your limbs and parts of your torso over the roller using your own body weight to deepen the pressure. Numerous studies have shown that foam rolling can improve blood flow to muscle groups, improve athletic performance, decrease soreness [PDF], improve flexibility and range of motion, and even reduce post exercise fatigue. Yowza! Bryna Carracino, head trainer and owner of B fit Los Angeles, uses foam rollers before, during, and after each of her classes. She explained that fascia (the thin sheath of fibrous tissue enclosing a muscle) in our bodies can develop adhesions or knots which can become trigger points for pain. Carracino says, "Rolling stretches out the fascia to relieve those trigger points. This rids the body of pain, improves flexibility, and improves mobility and range of motion. It&apos;s basically a deep tissue massage you give to yourself." I know, I know, you&apos;ve already logged onto Amazon to compare prices. It is a pretty exciting tool. I first discovered foam rolling when I started a heavy weight lifting program I found on bodybuilding.com. As part of the program, they wanted me to foam roll the parts of my body that I would be working during that particular lifting session. There were videos of how to roll each muscle group, and I was game enough to try, even if it seemed odd to roll out my muscles as if they were pastry crust. Mmmmmmm, crust. But what I discovered is that when you&apos;re doing it, it feels CRAZY! Like, painful, intense, making a Shar-Pei face crazy. And then when you&apos;re done: AH-mazing. The muscle group is tingling, relaxed, and comfortable. The first day after my heavy lifting, when I expected to be debilitatingly sore, I actually didn&apos;t feel too bad! Still a bit ouchy, but quite a noticeable difference from some of the soreness I&apos;ve experienced in the past after trying new, more strenuous exercises. Ok, so foam rollers are the best thing ever, right? But before you shove an old lady aside trying to grab the last one off the shelf at Target, take a moment to consider what kind of surface you might want your roller to have. Carracino says that not all foam rollers are created equal. She specifically recommends a Rumble Roller, a foam roller that has a textured surface that looks a little like the tread on a snow tire. She explains, "A flat roller only lengthens an inflamed muscle. 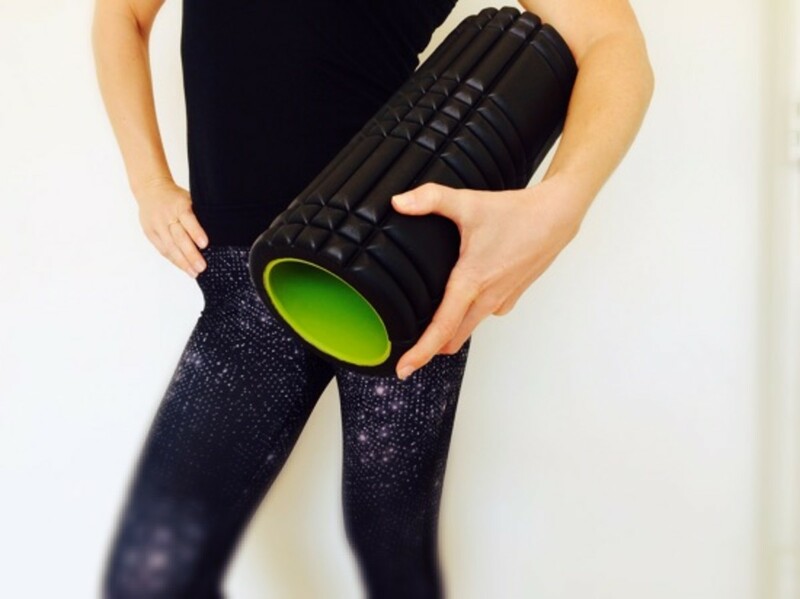 The Rumble Roller&apos;s bumps will help to locate adhesions, dig into these trigger points, and release the knots." If you want to start foam rolling right away, here&apos;s a link to the full list of instructional videos from bodybuilding.com. In the picture you see above, I&apos;m holding The Grid, a foam roller with a grid-like surface, cause it&apos;s what I had around the house. But whatever kind you use, I fully recommend trying foam rolling out. I hope you do it and love it as much as my muscles do!